In this series, we’re breaking down key findings from our 2019 State of AppExchange Partners Report, highlighting how successful SaaS companies leverage the Salesforce AppExchange and how network effects are taking hold. Download the full report here! We’ve been taking a deep dive into our 2019 State of AppExchange Partner Report in this series, and we’ve come to the last piece — investments. Salesforce and the AppExchange are growing at an unbelievable rate, so naturally, there is a large investment base for the companies leveraging it. We break down where this money is coming from, what companies expect for acquisitions or going public in 2019, and more in this final piece. With network effects coming into full force, the ecosystem is seeing increases in not only investments but key liquidity events in the marketplace. In 2018 alone, there were 7 IPOs and 18 major acquisitions of companies in the ecosystem. In addition, more than $1.3 billion was raised by companies on the AppExchange last year, per Crunchbase. A major contributor to this capital raised is from Insight Venture Partners; a group focused on software and B2B companies that has over $20 billion of assets under management. Insight Venture Partners has funded over 29 AppExchange ISVs alone, with some familiar names such as DocuSign, CloudCraze, nCino, Qualtrics, and Bullhorn — just to name a few. Investors see the value that being on the AppExchange brings and want to get in on the ground floor as quickly as possible. Greg Buchholz, Founder, President, and COO of SpringCM, talked about how being on the AppExchange contributed to his company being acquired. Salesforce continues to invest in the growth of companies on the AppExchange knowing full well that it will only strengthen the ecosystem. Salesforce Ventures completed a record 95 investments in 2018, bringing their total companies invested in since it’s 2009 inception to more than 280, and amount invested to more than $500 million — and they’re not close to being done. Salesforce isn’t only investing in companies in Silicon Valley either — 75% of their investments were outside of California in 2018. Salesforce Ventures is frequently creating new funds to help grow business globally, such as with the recent announcement of the new $50 million Australia Trailblazer Fund just a few months after their announcement of the $100 million Japan Trailblazer Fund. Salesforce Ventures’ key sectors that they invested in during 2018 were: industry SaaS, artificial intelligence and machine learning, big data, social impact, augmented reality and virtual reality, and open source and developer tools. These sectors are seen as the highest potential for growth, but companies that receive an investment don’t only receive funding — they get access to Salesforce’s product teams, executive leadership, customers, and partner events. The 6 AppExchange IPOs were right on target for what we predicted in last year’s State of AppExchange Partner Report, and this year we are anticipating even more. 6% of respondents forecasted that their company would IPO within the next 12 months — up 2% from last year. There are already a handful of big players in the ecosystem — including Anaplan, Axiom, Slack, Survey Monkey, and Zoom — that have filed with the SEC to go public in 2019. However, an IPO isn’t the only way for companies on the AppExchange to have the funds available to grow rapidly. 45% of respondents are venture-backed companies, with 56% of those having closed a round of funding in 2018 and 26% looking to raise more in 2019. Of the remaining partners, 49% are bootstrapping their companies. For bootstrapping companies, being on the AppExchange provides a significant boost in leads that can turn into additional revenue. As we covered in the previous post in this series, companies in the ecosystem see an average of 48% of their leads generated from the Salesforce channel. This helps give bootstrapping companies the capital they need to reinvest in the company and grow it themselves, rather than using outside capital. Similar to partners being worried about the channel conflict paradox, some partners voiced concerns about the impact percentage of net revenue (PNR) has on the board level for venture-backed startups. In a recent webinar with AppExchange experts, Jonathan Rosenbaum, Vice President of Insight Venture Partners, addressed these trepidations. PNR was lowered last year, now starting at 15% for certain partners, but there is still worry that board members won’t see the value that companies get from the AppExchange in return for this PNR. However, Jonathan says this shouldn’t be a concern. The total addressable market (TAM) for Salesforce is huge, and they are building the ecosystem out in a way that it will only get bigger. Salesforce is expanding beyond just enterprise companies and focusing in on more industries and SMBs as well — providing even more opportunity for companies in the ecosystem to access markets they otherwise wouldn’t get to and bringing in new companies to strengthen the network effect. The PNR is the fee that companies pay for this access, along with the technology and infrastructure to build incredible products. Jonathan stressed the importance a strategic alliance partner plays in getting the most out of Salesforce and your PNR. With the thousands of partners Salesforce works with, having a strong relationship with the various account manager and account executives internally at Salesforce is the fastest way to take full advantage of the ecosystem. Jonathan had this to say about the value being on the AppExchange brings despite the PNR. With network effects strengthening, expect investments into companies on the AppExchange to continue to increase — from both Salesforce and outside investors. From here, companies have the opportunity to scale quickly and become a big player in the new industries and verticals that Salesforce is putting additional focus on. 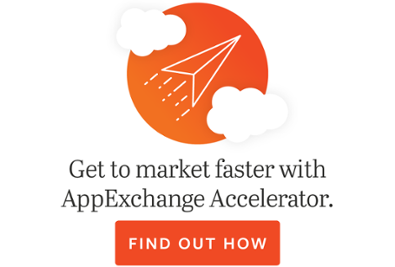 That’s it for our State of AppExchange Partner Report deep dives. If you have any questions on what we covered, feel free to reach out to us — we’d love to chat! If you’re not already, be sure to subscribe to our blog so that you know when our annual report comes out (hint: around Dreamforce ‘19) and can get early access to it!